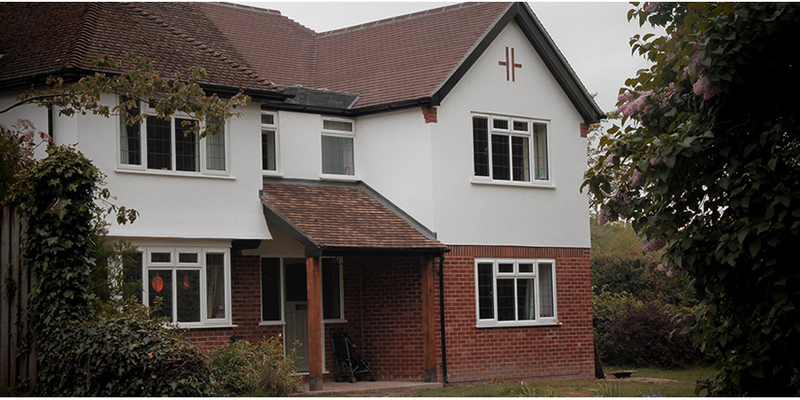 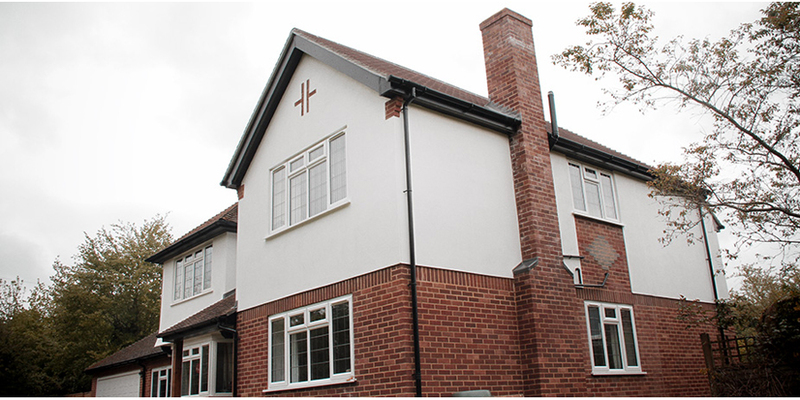 Our client required additional bedroom and living space added to their detached house. 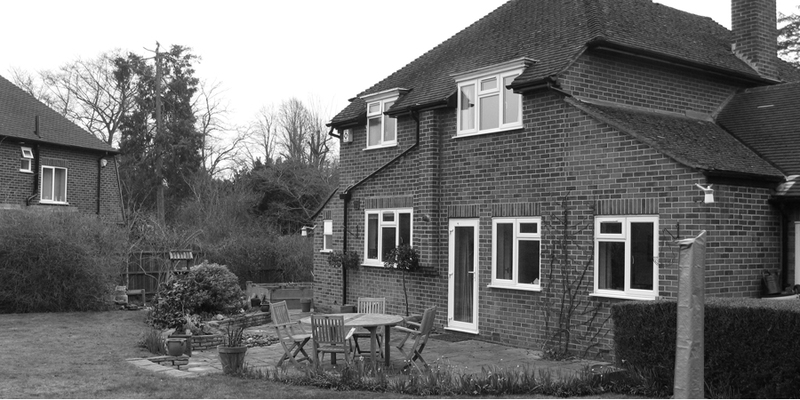 In a complimentary style we designed a two-storey side extension providing a new entrance loggia and enlarged entrance hall. 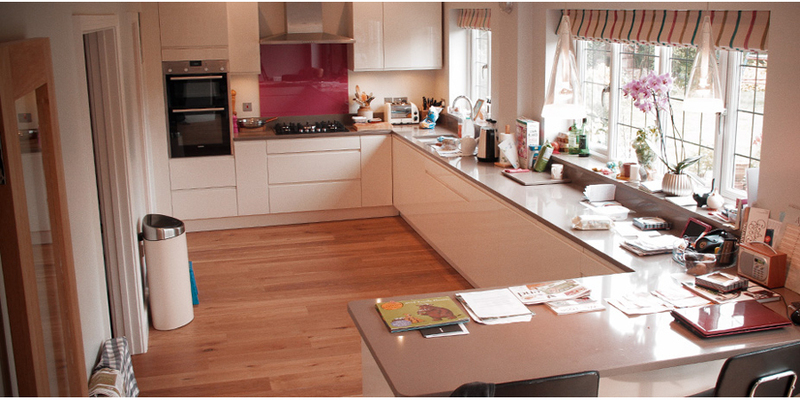 At ground floor a large kitchen area was formed from existing spaces and new living and play rooms were added. 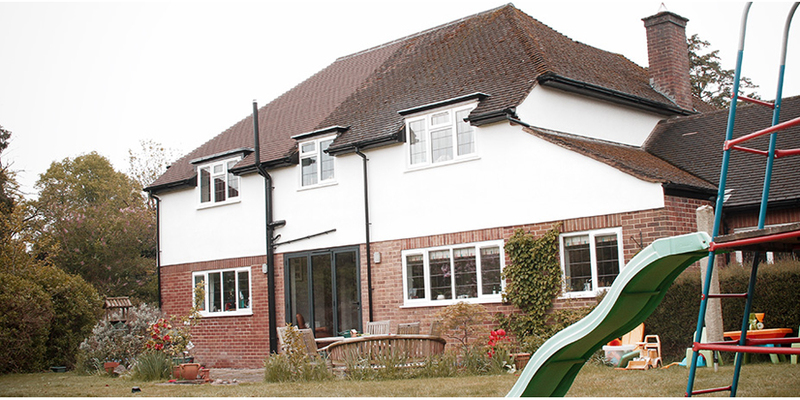 A new staircase leads up to a generous new landing and two new bedrooms, each with en-suite.